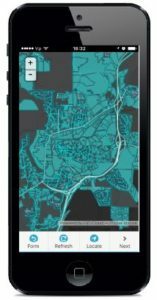 If the data is collected in the area with poor or no Internet connection or if it is too expensive to use mobile data, Offline maps can be used to download the project on the mobile device to collect data even when there is no Internet connection. In offline mode it is not possible to log in or out or switch between maps and projects. All the data collected offline can be found in the queue. Once the mobile device is connected to the internet, the collected submissions will be immediately sent. If there are more layers on the map, it will take substantially more time for download. More map levels will be downloaded in areas where the features are positioned. Offline maps support all types of vector layers. For now, rasters are not supported in the offline mode. All other basemaps will be converted to Open Street Maps. 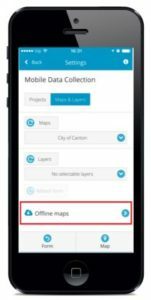 Open the project in Mobile Data Collection app. Go to Settings and tap Offline maps button. Tap download map button on the top of the screen. Wait until the map is downloaded. When size of the map and last modified date appears, the map is ready for offline collection. Note: If there are more layers on the map, it will take substantially more time for download. More map levels will be downloaded in areas where the features are positioned. Here you can find the answers to some common problems with Offline maps. 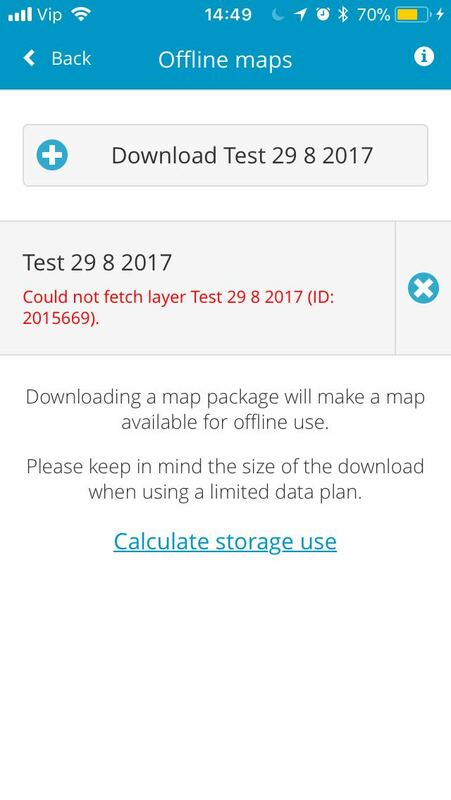 The offline maps download the area defined by the layer extent. 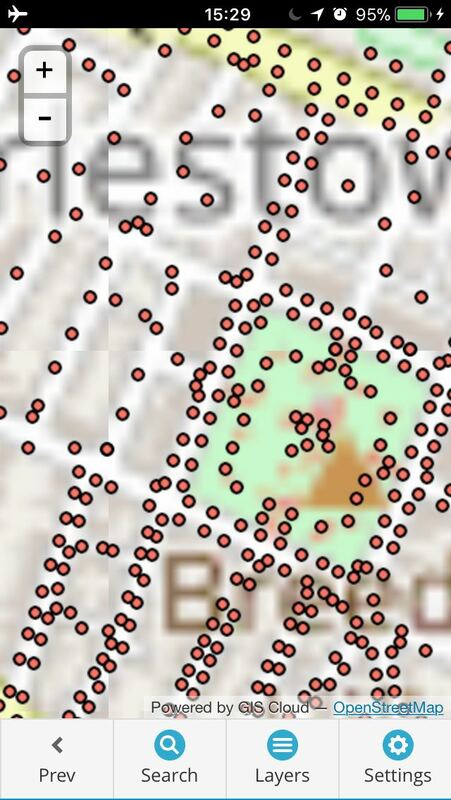 If the basemap is blurry, this means that the area is too big and downloading all the basemap tiles is not possible due to limitations of the mobile device. The workaround would be to separate the project into several maps with smaller area coverage. 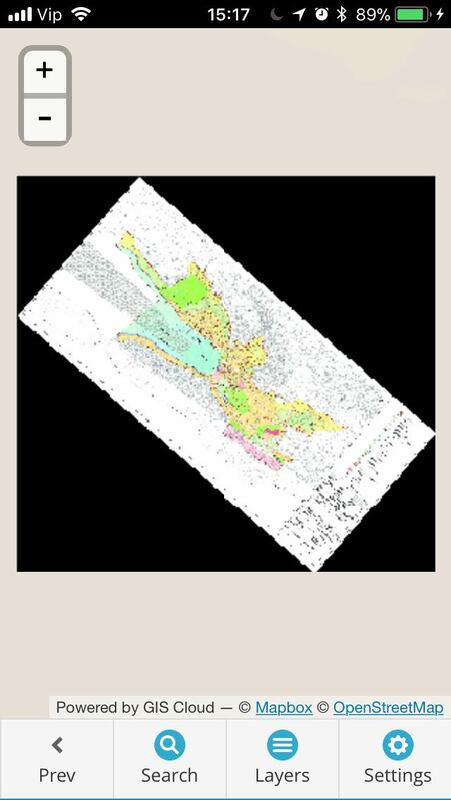 The rasters are visible only on the default zoom level. Zoom in/out are not supported in the offline mode, unfortunately. In some cases where the map is large and has lots of layers, the labels are not displayed in the offline mode. 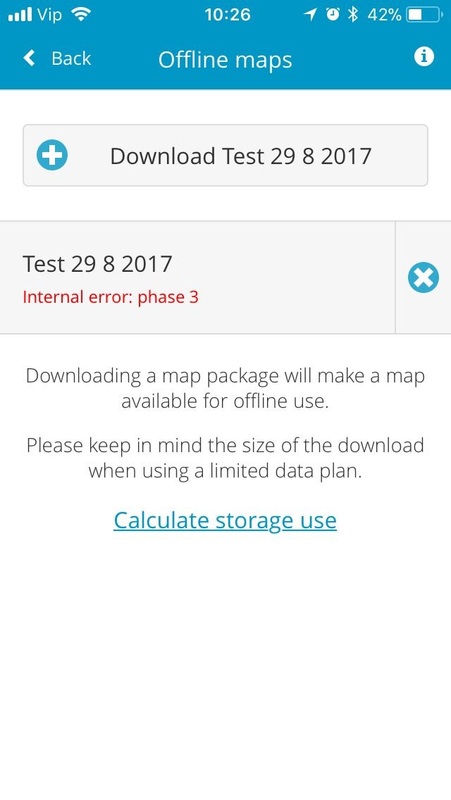 If this is the case, we would suggest that you separate the map into several smaller maps and try to download the map again. This message indicates that the layer doesn’t exist in the storage anymore. Check the map and update layer source. This message indicates that something went wrong while generating the offline map package. Please contact Support team with information about map name, username and description of the error.